(BPT) – Investing in a bathroom upgrade is in the cards for nearly a quarter of homeowners planning to renovate within the next 12 months, according to a new survey. Improving a bathroom is rewarding on multiple levels; if you’re selling, buyers love great bathrooms. If you’re staying, a luxurious bathroom can be a relaxing oasis where you’ll be happy to begin or end a busy day. Few design elements afford such a perfect opportunity for utility and artistry to blend beautifully as does the bathroom sink. 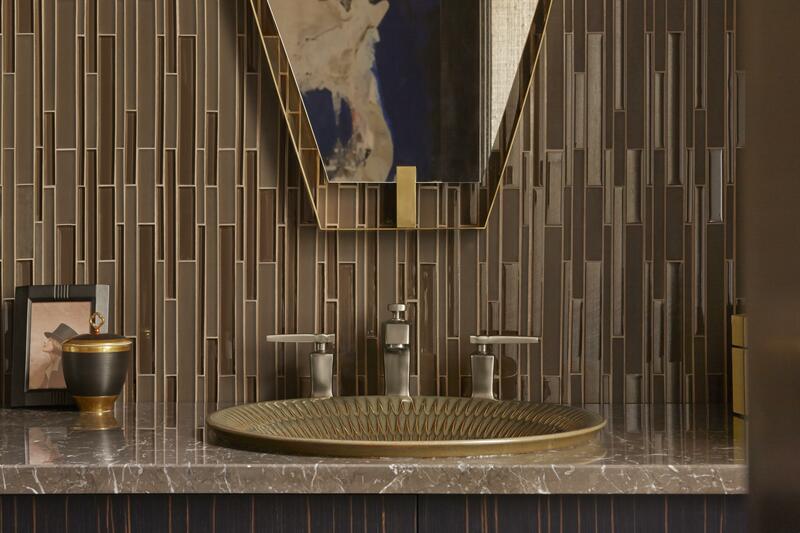 A striking statement vessel in patterned porcelain or smoky glass can be a focal point for your vanity while still providing ample space for essential functioning. It’s not difficult to find statement-style sinks, but to truly elevate the basin to a form of art, look for options that evoke the look and feel of the era when luxury items were handcrafted by learned artisans. Kohler offers Artists Editions collections that turn everyday fixtures into striking statement pieces. Most Americans spend six to 10 minutes or more in the shower each day, according to multiple surveys. But a shower is so much more than just a place to get clean. A shower can soothe at the end of a trying day, or invigorate your senses in preparation for a busy day ahead. Statement showers incorporate luxury features such as multiple shower heads, wall jets, hand showers, rainfall shower heads, seating, customized lighting and even sound and video. Options like granite, marble, concrete, limestone and other natural stones might be too costly for a kitchen, where you have a lot of counter space, but they’re a cost-effective way to make a statement in a bathroom where you have less square footage to cover. These high-end materials pair perfectly with statement sinks to create a unique, one-of-a-kind look. Upgrade bathroom counter tops to your dream material and then add luxury touches like a matching backsplash or under-counter LED lighting. This entry was posted in Real Estate on January 10, 2017 by Mike.